Vinery newcomers Headwater and Press Statement featured prominently on the first-season leader-board at the Magic Millions and they will be back with yearlings to suit every budget at the Inglis Classic Sale starting on Saturday evening, February 9. The Classic catalogue numbers 1011 yearlings and the Riverside Stables will house 42 lots by Headwater and 23 by Press Statement. Both sires averaged six times their service fees at the Gold Coast. Among Vinery’s Classic Sale highlights by Headwater are the fillies from Fill Me Up (Lot 81) and Elan Grenadine (Lot 280). Fill Me Up is a winning half-sister to Violate who won the Tontonan Stakes LR at Flemington in September. Trainer Brett Stanley had rated him a Group 1 horse at three and sent him north for a fourth in the 2017 Queensland Derby. Elan Grenadine is a half-sister to Flemington stakes winner Celebrity Girl and she won on debut at Kembla Grange during a brief career for Grahame Begg. 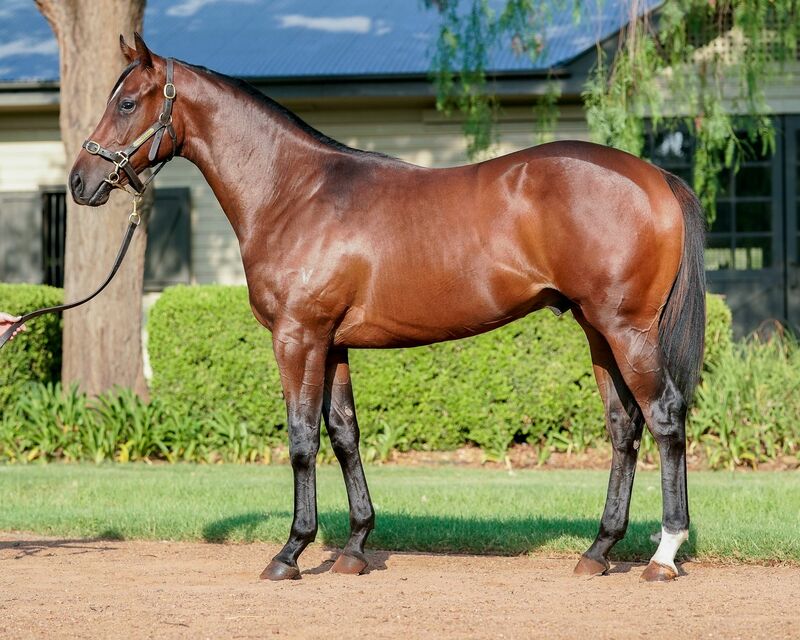 Her More Than Ready colt sold to Dynamic Syndications for $140,000 last year and he has been named Avion Fury. Press Statement’s first crop averaged $170,000 on the Gold Coast and there was more good news for his Classic draft when Vinery-bred filly Exhilarates won the $2 million Magic Millions 2YO Classic (1200m). Night War won a Karrakatta Plate Gr.2 and is a half-sister to Blue Diamond Stakes Gr.1 winner Samaready whose first-named foal is Exhilarates. She is an $8 second-favourite for the $3.5 million Golden Slipper Stakes Gr.1 in March. Vinery commences the Classic Sale with Lot 1, the All Too Hard filly from Ellerslie winner Walk In The Park who was also Group 1 placed in the 2009 Queensland Oaks. One of the standouts among the All Too Hard yearlings from Vinery is the colt from More Than Ready’s Sydney winner Ready Miss (Lot 639). His cross with the Vinery legend is already paying dividends with stakes performers like Cristal Eyes, Outrageous and Za Zi Ba. All Too Hard is quickly developing into a prolific sire of winners. With just three crops racing, he’s already embedded in the Australian Top 10 for winners (69) and wins (97) this season. His current juvenile division is headed by unbeaten Queenslander youngster Alligator Blood and he’s being set for a Group 1 Sydney campaign by trainer David Vandyke. His Victorian team includes Better Harden Up, a winner at Flemington and Moonee Valley in December, and Lindsay Park filly Fling who was placed on debut at Sandown during the Australia Day long weekend.